In 2015, an estimated 13% of drivers on U.S. roads were uninsured, according to the Insurance Information Institute. That means that as many as 1 in every 10 drivers you see on roads across the country do not have insurance to provide coverage for your injuries should you be involved in a car crash with them. This is a scary thought. 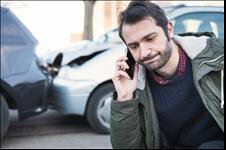 Know your options for seeking compensation for your injuries in the event you are hit by an uninsured driver. Obtain a copy of the crash report and check that it accurately reflects what actually happened in the accident. Seek immediate and consistent medical treatment. Follow doctor recommendation regarding follow-up care. Maintain copies of all crash-related medical records. This is the evidence of your injuries that will prove your insurance claim. Immediately contact your insurance company to notify them of the crash. Do not speculate on the crash and especially not on your injuries. If they ask about your injuries, you can simply respond by saying you do not know the extent of your injuries and are currently seeking medical treatment. Talk to a personal injury attorney. Personal injury attorneys have the experience with these types of claims and with insurance companies to help insure that an insurance company does not take advantage of you when you are in times of need. If you do not have uninsured motorist coverage, you will be limited to your own insurance coverage. Many states require drivers to have personal injury protection (PIP) coverage. PIP is “no fault” coverage that will pay for your medical expenses, up to your policy limit, regardless of who was at fault for an accident. Some states have auto medical payments (AMP) coverage which is first-party, “no fault” coverage. Regardless of what state you may be from, check your insurance policy to see what type of first party benefits you have to cover your expenses after an accident. Getting into a car accident is overwhelming. Being injured in a car accident can leave you in pain and in distress at the thought of missed days of work, missed income, and mounting medical bills. Know your options. Review your insurance policy for the type of coverage that may be available to you.